Everyone knows that a person’s hair is something that is noticed by everyone. How many times have you heard the phrase “your hair is your crowning glory?” It’s a very true statement indeed! Regardless of how your face is looking, if your hair is in a mess then you won’t ever feel truly beautiful. A big factor in the way you look overall is a nice glowing and shiny head of hair. Because of this, beauty salons all over the world cater to women who want to come out looking beautiful with shiny and glowing hair. Not only that, but stores all over the world now sell specialized products for your hair that can help you obtain that glowing and shiny look day after day. There are a few tricks you can do yourself to ensure that your hair always has that glowing, shiny look. 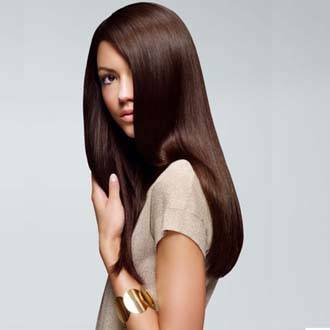 Hair Trim – Cutting off the split ends and dead ends from your h air will help your hair shine and look much healthier. Ridding your hair of the split ends will give the hair faster growth as well and prevent it from breaking. Prenatal Vitamins – A trick of the trade? Along with a healthy diet supplement your food with some prenatal vitamins. These vitamins will do a world of good in making the hair shine and glow! Shine Sprays – Shine sprays have been around for a while and give your hair a beautifully, glossy look at all times. Make sure that you have the product sprayed into your tresses and refresh for added shine during the day or evening. Nourish the Hair – You always have to be sure to nourish your hair from the root level up. Oils for the hair work wonders as they soak into the roots and cuticles of the hair and seal them with nutrition. This oil will also make your hair shiny and soft to touch. Deep Oil Treatments – Deep oil treatments performed on the hair will make you hair amazingly shiny. Apply the heated oil directly to the scalp and then let it set in the hair for about 30 to 45 minutes and rinse completely. This will put a deep conditioning in your hair and scalp and leave it extremely shiny as well as soft. It also helps to prevent the hair from being damaged. If you want to speed the process up after you apply the oil, wrap a very warm towel around your hair and the oil will soak in much faster. An old time trick of the trade to make hair shiny is removing any build up on the hair. To do that use a nice apple cider rinse you make yourself at home. Dilute one tablespoon of cider with a liter of water and use it as a rinse before you shampoo the hair. This will remove all the buildup and toxins that are in the hair and after shampooing you will notice a much more glowing shine! Remember that to get a nice shiny and healthy glow on your hair, it all starts from the roots. Use some of the methods listed above to help achieve much more shine and glow to your hair. This post was written by Lucy Thalys. Lucy enjoys writing about health and beauty. You can read more of her articles at http://flowerdelivery.net.